U.S. consumers aren’t down for the count, said Target CEO and Chairman Brian Cornell and former Federal Reserve Chair Janet Yellen. December’s stock market rout hasn’t yet rocked the confidence of U.S. consumers just yet, meaning those on Wall Street looking for a recession this year may be disappointed. The U.S. consumer is still feeling “good” Target’s Cornell told Yahoo Finance at the National Retail Federation conference Monday. 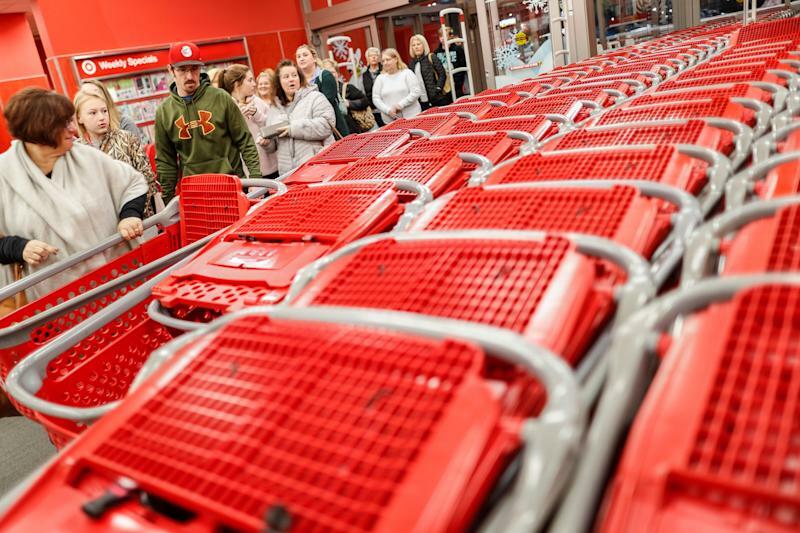 Evidence of that could be seen in Target's holiday same-store sales, which increased 5.7%. While retailers such as Macy’s warned that sales tailed off in mid-December — possibly because of heightened stock market volatility — Target surprised Wall Street with its sales and reiterates profit outlook for the year. Cornell said Target will spend 2019 getting the word out on its new same-day delivery service Shipt and remodeling about 300 stores. When asked if Target could make a play for shuttered Sears locations, Cornell said he would “selectively” look at “all” opportunities. Yahoo Finance recently reported that Amazon could swoop in and buy old Sears and Kmart locations to boost the presence of its Whole Foods division. Additionally, Yellen strode to the stage at the NRF conference on Monday and agreed with Cornell. The former Fed chair said the consumer remains in good standing. “Consumer spending looks excellent" judging by holiday retail sales, Yellen remarked, adding that the macroeconomic data out there suggests the economy is still “OK.” Yellen cautioned though that the stock market’s decline from the highs “could” impact consumer spending this year. The angst over the health of U.S. shoppers right now is understandable. For starters, Apple’s disappointing holiday season hints that consumers — not only in China as Apple believes — balked at new higher priced iPhones. Economically sensitive companies such as FedEx and Delta have recently shared warnings on their financial outlooks. And retailers Macy’s, Kohl’s, and JCPenney saw their stock prices punished in response to lackluster holidays. To add insult to injury: Consumer confidence has weakened amid the prolonged government shutdown and stock market volatility. "While 2018 was a good year, almost all economists are forecasting a slowdown,” Yellen noted. "2019 will be a less strong year." Hopefully for investors, not that much less.